KANSAS CITY – The National Football League has come a long way when it comes to providing each and every player with the best health and safety protocols as possible. 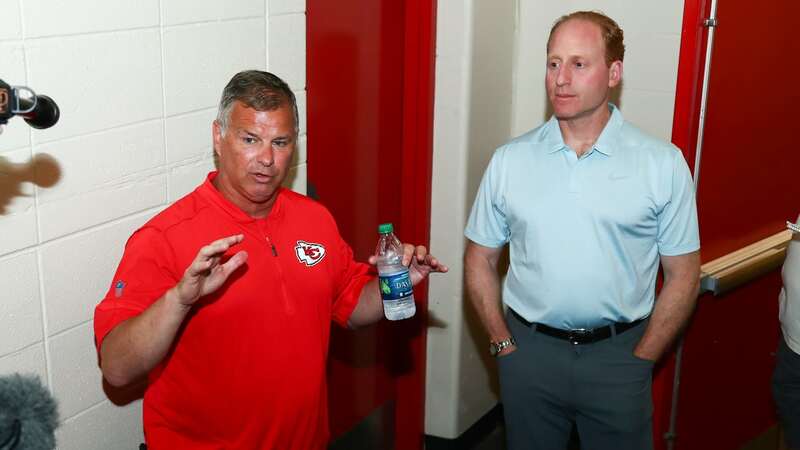 The Kansas City Chiefs, along with several officials from the NFL, explained the details of those protocols on Wednesday, where Chiefs’ Vice President of Sports Medicine and Performance Rick Burkholder articulated it best. Here’s a look at several of the ways the Chiefs and teams around the NFL are doing just that. Prior to every single game, medical staff from both teams, including the unaffiliated medical staff in the stadium, get together to discuss how to handle an injury down to the last detail. That cohesion is critical as everyone involved works together to take care of both teams on the field. In addition to those 30 individuals, NFL Executive Vice President of Health and Safety Policy Jeff Miller explained how the league is trying to provide visiting teams with the resources that they need. The 60-Minute Meeting is an opportunity to discuss the larger plan that is already in place. When a team travels, they’re introduced to that stadium’s EAP upon arrival. Burkholder went on to explain what happened to wide receiver De’Anthony Thomas when he broke his leg last season in Denver and how the plan was carried out. The mission of preventing injuries in the first place begins with the equipment on the field. It’s a change that has been largely welcomed across the league. It’s not just helmets, either, as proper footwear is being emphasized more than ever before. Burkholder explained how the Chiefs have been implementing that technology. If an injury does occur on the field, that’s where coordination between the various medical professionals on hand comes in – such as in the Spotter’s Booth high above the action. And while this process was originally put in place to spot concussions, it exists for all types of injuries. That brings us down to the field where that replay technology – and the ability to control it – is readily available. There’s also a direct phone line in place in case the headset communication isn’t working for any reason. The first step of evaluating a potentially injured player – including those with suspected concussions – occurs in the “blue tent” on the sideline. Deploying those protocols is where the blue tent comes in. That evaluation then determines what happens next. “If you get red-flagged, you go right inside,” Burkholder added. If it’s determined that a player needs further evaluation – or in any other circumstance where an injured player requires treatment – they’ll be brought to the Athletic Training Room. That’s where the technology comes in, whether it be for a concussion or some other injury. Every player’s medical history is also available through an online database at a moment’s notice. If it’s determined that a player needs an X-ray performed, that technology is available on hand.